At Press Camp yesterday, we were shown the new Cannondale Evo Womens. 6 women will ride this bike on the Reve tour. 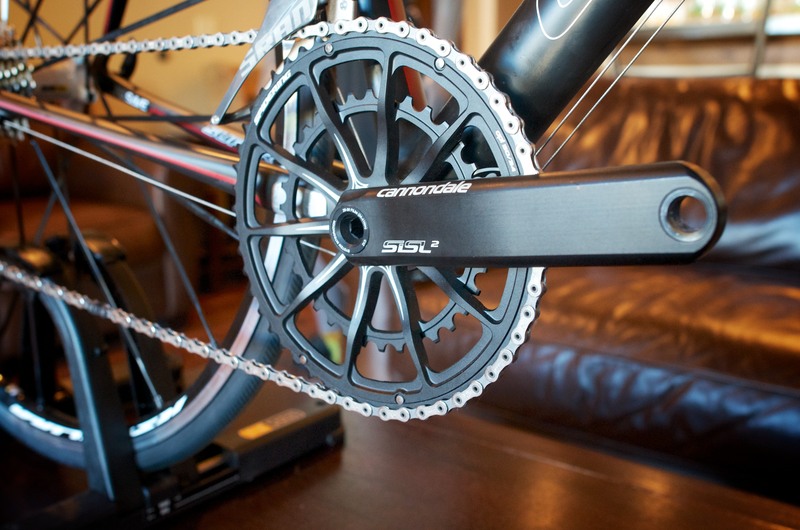 The new bike ships with an SISL2 crank. 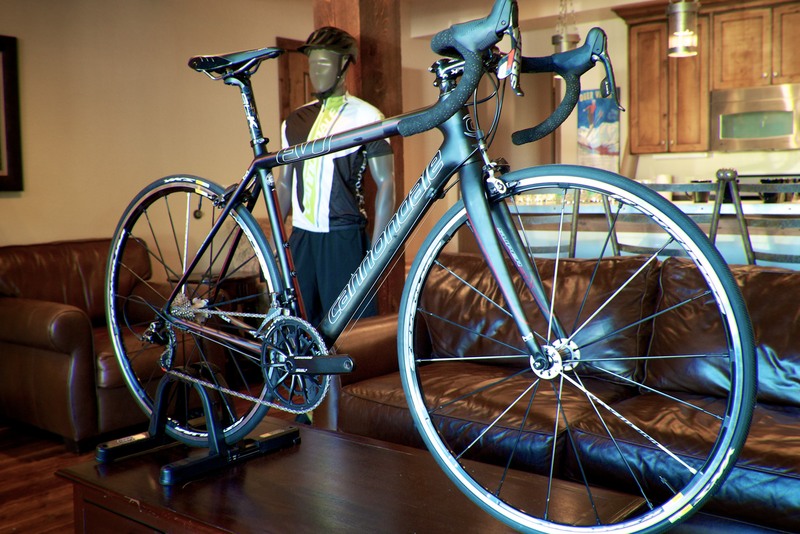 When we entered Cannondale’s suite, I didn’t get that this was a women’s bike until Lyriel started her presentation. It Looks like a Cdale high-end race bike with a cool crank. The shrink and pink a bike for women era is certainly over when this bike is lined up with others from Trek and Specialized. High-rez photos light boxed on G+ and Flickr.